In case you missed it, Authy, the spiffy two-factor authentication app not made by Google, has been bought by Twilio. In a series of blog posts sent out this week, the two companies announced how their new partnership was the perfect match. Authy wants to make two-factor available to everyone, and Twilio, as the maintainer leading cloud communications platform, wants to make web accounts more secure. 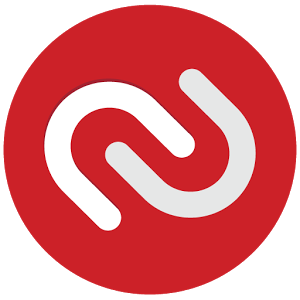 Thousands of websites already work with Authy, and as far its users are concerned, nothing much will change for now. Twilio customers stand to gain more as the two services start to integrate together. If you're using Google Authenticator, which hasn't received a visual refresh since the holo days of Ice Cream Sandwich, Authy might be worth a look. The app simply looks more modern, especially after its recent material overhaul. It also comes with online backup and device sync. And with this injection of cash, the app will likely continue to be less neglected than Google's own. SAN FRANCISCO, CA--(Marketwired - Feb 24, 2015) - Twilio, the leading cloud communications platform company, today announced the acquisition of Authy, a leading provider of authentication as-a-service for large-scale Web and mobile applications. Together, Twilio and Authy will address the growing need for stronger authentication methods in an increasingly-connected world. User identity is core to secure communications, and businesses need a simple and more cost-effective way to validate user identity. With Authy, Twilio now provides a cloud-based API to seamlessly embed two-factor authentication (2FA) and phone verification into any application. Twilio and Authy have been working together since 2012. The underlying Voice and SMS communications for Authy will continue to be powered by Twilio. To learn more about the ease-of-securing Web and mobile apps using Twilio and Authy, visit https://www.authy.com/twilio. With password theft up 1,400 percent since 2009 and consumer fraud losses increasing to $16 billion in 2014, passwords are no longer enough. Authy automates security best practices and detailed policy management, simplifying the implementation of strong authentication for websites, mobile, and SaaS applications by developers. Over 6,000 websites including Coinbase, MercadoLibre and CloudFlare depend on Authy to prevent malicious attacks and help protect users against fraud and account takeover. When combined with Twilio's global reach to more than 500,000 registered developers and businesses, coverage in over 200 countries and 24x7 customer support, the companies are paving the way for broad adoption of enhanced authentication in all applications. "We've seen increased demand from Twilio customers for easy-to-implement, strong authentication options for mobile and Web apps," said Jeff Lawson, co-founder and CEO of Twilio. "With Authy's deep identity expertise and product capabilities, combined with Twilio's global reach, we make it easy for customers to secure their applications and customer information. We are thrilled to welcome the Authy team to the Twilio family. We can't wait to see what our customers build." Customers such as Box, Intuit and DocuSign use Twilio today for identity verification. By adding Authy capabilities to the Twilio platform, existing customers gain better policy management and reporting capabilities. "The combination of Twilio and Authy is a win-win for everyone. Together we will accelerate customer adoption in three critical areas," said Daniel Palacio, founder and CEO of Authy. "First, the combination of our SaaS services allows Authy to better serve our customers via Twilio's infrastructure and support services. Second, joining Twilio means our team can focus on what we do best -- enhancing our strong authentication services and building great new identity products. Lastly, Twilio's global communications infrastructure paves the way for increased adoption of Authy 2FA to users worldwide -- this allows us to stay true to our mission of providing not only the strongest, but also the most user-friendly, strong authentication solution available." All Authy services and support will continue to be available at www.authy.com and soon on www.twilio.com. To learn more about the integration of Twilio and Authy, visit our blog at https://www.twilio.com/blog.